If you have been looking for the best free caller blocker app to use for your Android phone, don't worry we have gathered all you need to know. Are you tired of receiving calls from unknown numbers, don't worry we have list of apps that will help you identify those calling you with unknown and hidden numbers. This is one of the best app to use and stop spam calls. With millions of download on play store. This app have turn to most darling of my many Android users. It blocks spam calls as well as messages. It can help you reveal the identity of unknown callers in the call history and message inbox of your phone. Truecaller will help share location, status and emoji instantly with friends. On the app, you can do the customization of themes that are dark, pitch black and several other ones. This app helps you to block unwanted calls and sms. It can also help you avoid fraud and been scammed. Millions of people are using the app today. It blocks spam and unnecessary calls. It reveals your caller’s identity. Its spam or fraud-protection feature is comprehensive. It alerts you about SMS that could put you in danger. This app have had great review since it is launched. The app helps Android users block unwanted Calls, MSM and SMS. 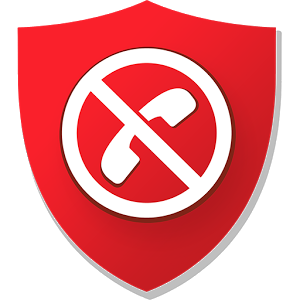 This call app blocker was launched in 2013. With just one touch, Whoscall can help you block spam calls disturbing your peace. It has the ability to recognize unknown callers. It offers mobile business cards with personalized features. This app blocker is dope, to me is the best. It helps you identify unknown users, block unwanted SMS and do alot more. The feature of this app, “Blocking Mode,” gives you room to select from one of 4 modes and you can select anyone of these modes you like. Hope the article is of help? Download one from play store and start using one it.